The Rotterdam club lost star striker Graziano Pelle to Southampton, but failed to bring in a recognised striker, which has partly been behind their poor start to the season. Feyenoord currently sit 15th in the Eredivisie while they are out of the KNVB Cup. Speaking to media Jan Everse stated both Metz striker Diafra Sakho and Sporting Gijon’s Stefan Scepovic were offered to Feyenoord, but they decided against making a move. Sakho eventually joined West Ham, while Scepovic joined Celtic. “The first is Diafra Sakho, from Senegal. I’d have picked up his passport to get him over here. 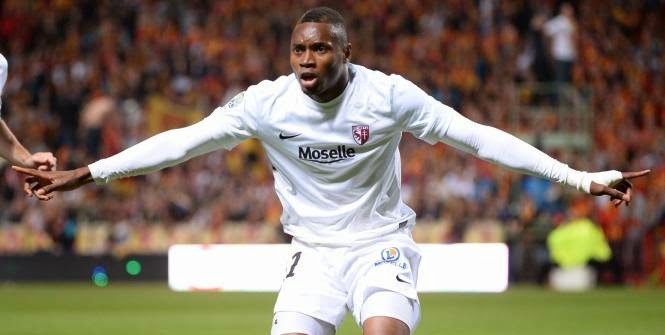 Last season he scored 20 goals for FC Metz in the French Ligue 2.